Malay Fish Mousse – or Otah-Otah – fresh fish fillets which are blended with light spices, coconut milk, kaffir lime leaves and other aromatic herbs, into a sort of fish mousse. 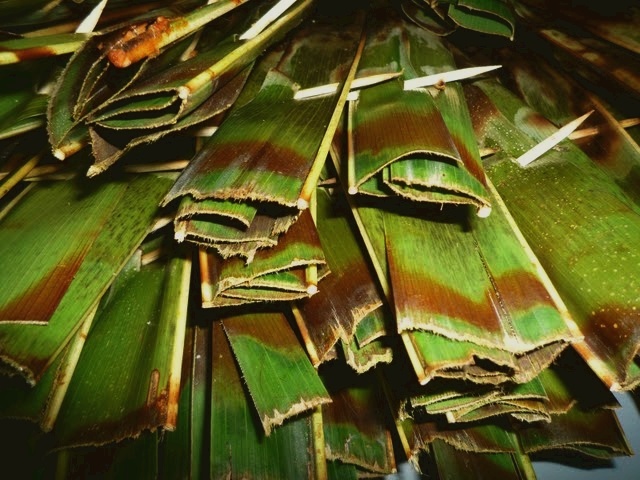 The otah is then wrapped in banana leaves and steamed or grilled. Otah-Otah makes an exotic appetizer, for bbq gatherings or cocktail party bite. Grind galangal, shallots, garlic, lemon grass, dried chilies, shrimp paste and turmeric together finely. Grind again with minced fish meat and thick coconut milk to form a fine and smooth mixture. Spoon 1 tbsp fish mixture into banana leaf. Wrap up and secure otah-otah with toothpicks. Steam or barbecue otah-otah over charcoal fire till cooked.